Send Out The Map Makers! The Engineer turns to his assistant and says, “Send out the map makers!” And so it was! GP Medium tent, duckboard flooring, folding cots, trenches to divert the rainwater and mud everywhere. Looks a lot like the 1st Cav Warfighter, Fort Hood, 1997. I can’t say for sure where these photos were taken. 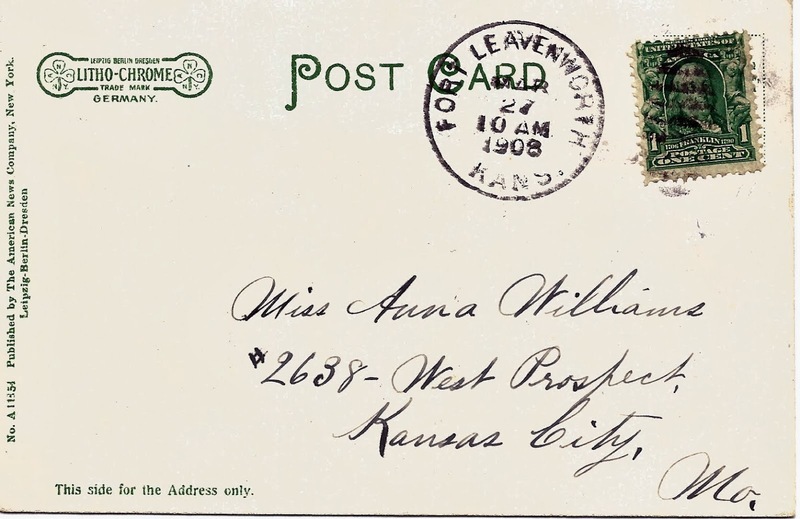 Two of the cards were postmarked at Fort Leavenworth so it’s possible the photos document classes taught as part of the Army Service Schools at Fort Leavenworth. 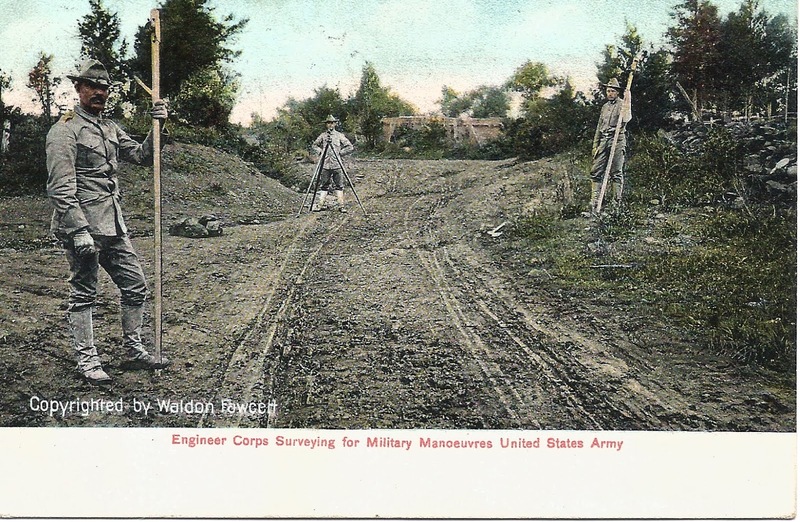 The Engineer portion of these courses included heavy emphasis on field survey and sketching. The photographer, Waldon Fawcett, did a lot of photography for the US government right after the turn of the 20th century. The Library of Congress has a number of his photos available online. The fellow certainly was prolific – he seems to have captured a lot of governmental agencies at work during the Theodore Roosevelt administration, including Teddy himself. 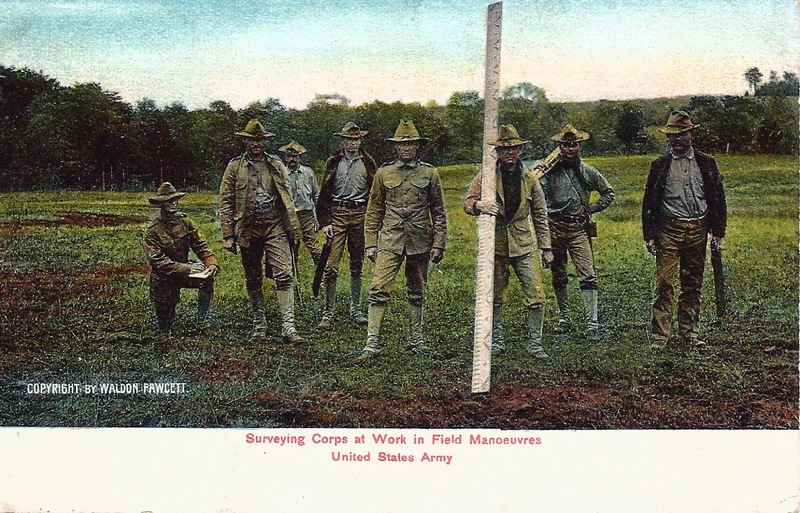 It is possible that Fawcett was contracted to document the activities of the Fort Leavenworth schools and made postcards from some of the photos. Someone was sweet on Miss Anna Williams. Two of the cards were addressed to her. Her sweetheart must have decided that sending her pictures of muddy soldiers holding big sticks was the perfect way to win her heart. 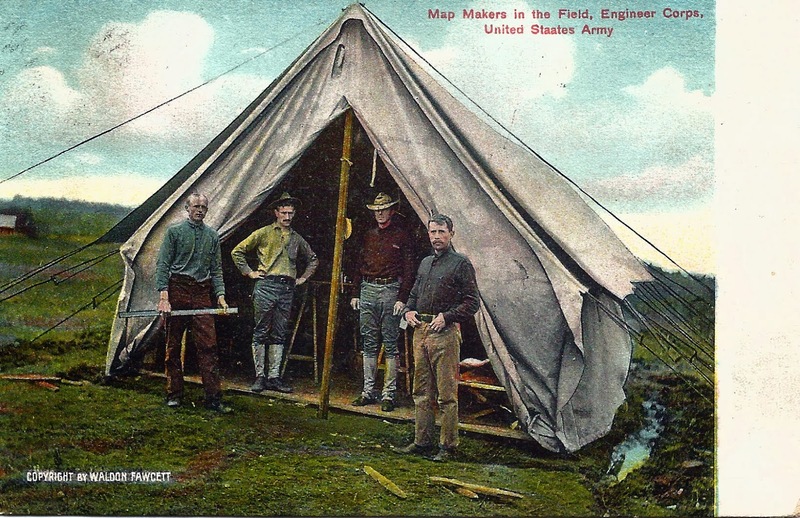 This entry was posted in History and tagged army, mapping by Brian Haren. Bookmark the permalink.